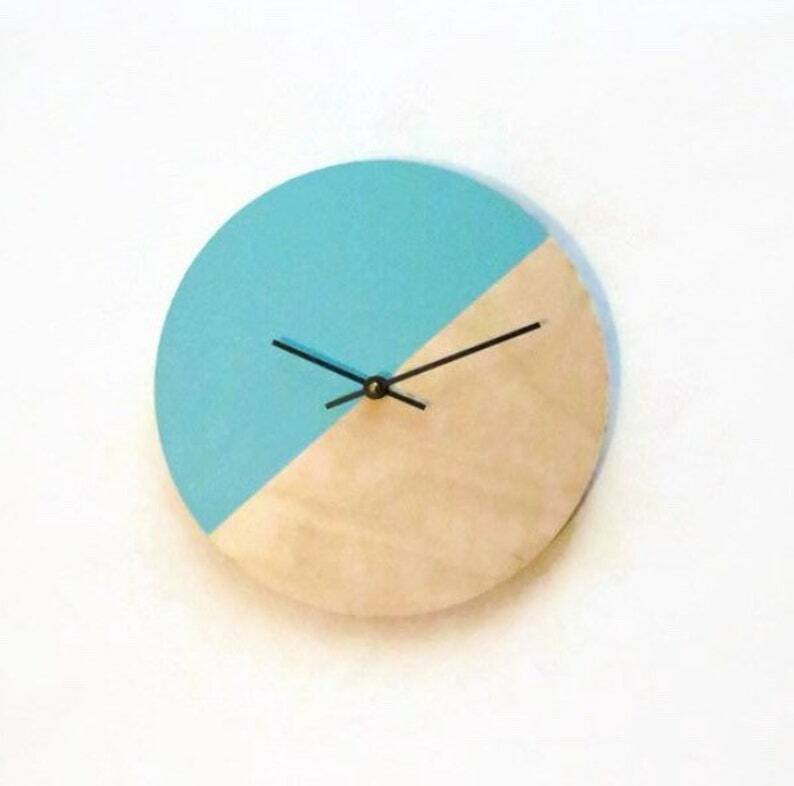 This silent wall clock is perfect for a baby nursery or bedroom. The reclaimed wood base is hand painted soft blue, leaving the half unpainted. This is a Shannybeebo original design and can be customized to fit your space. Assembled with a new quiet quartz clock movement.